When you’re earning millions of dollars in paychecks, where will you spend your money on? Will you purchase a sprawling estate? Go on a holiday on an exclusive island? Or buy a yacht, perhaps? Well, these celebrities know well what to do with their hard-earned cash, and that is to spend them on the hottest supercars. The Twerk Queen may have odd choices for her fashion, but she sure knows how to pick a stylish ride. In her garage is a McLaren MP4-12C supercar; the first production car wholly designed and manufactured by McLaren Automotive. The design of this sports car is definitely a head-turner, but other than that, this sleek vehicle is built with a 3.8 L V8 twin-turbo engine that provides a total of 592 HP. Weighing just over 3,000 lbs, the McLaren 12C can go from 0 to 60mph in under 3 seconds and has a maximum speed of 207mph. The Jamaican sprinter, named as the fastest man in the world, sure loves speed. In 2013, Nissan gave Usain Bolt a gold GT-R called the “Boltmobile.” Like Bolt, the Nissan GT-R can sure run fast at 193mph top speed and go from 0 to 60mph in just 2.9 seconds. Having a net worth of $150 million and being the 5th richest rapper in the world, Bryan “Birdman” Williams sure has the money to buy himself some hot rides. 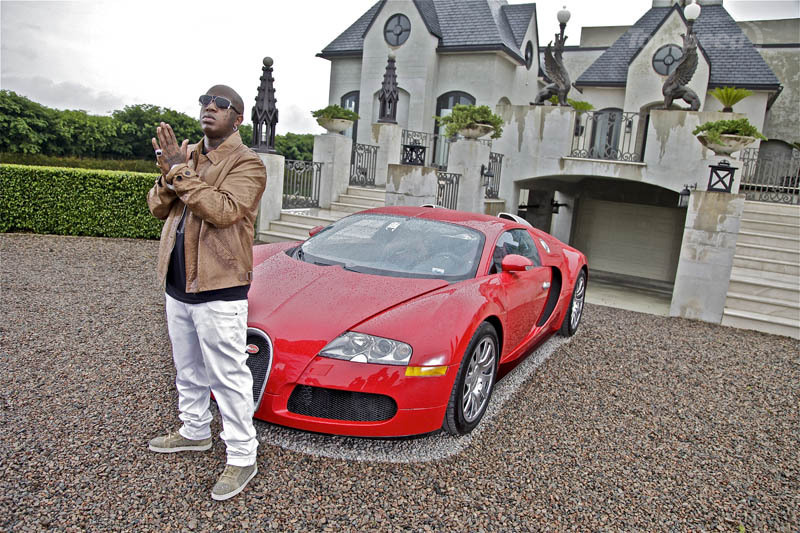 Besides owning a Mayback Exelero, the rapper-turned-businessman also owns a red Bugatti that reportedly cost him an easy $2 million. One of the personalities of the reality TV show “Pawn Stars,” Austin Russell, better known as “Chumlee,” sure knows where to to put his money in. Chumlee is a proud owner of a $400,000 Rolls Royce Phantom. The Phantom has details handcrafted by 60 artisans, which surely speaks of the luxurious brand. When you’re a big star like Nicki Minaj, what would you buy yourself? A Lamborghini Aventador, of course! But naturally, Nicki made sure that the Aventador and its Forgiato wheels were of the color of her trademark pink shade. Of course, this is not the only jaw-dropping vehicle that Nicki has. She also owns a Bentley and a Range Rover that’s, surprise, surprise, the same shade of pink! Nicki’s BFF, Drake, also has his own hot rides, like his Bugatti Veyron. This beast can reach the top speed of 253mph, and its Super Sport model can easily reach 0-62mph in just 2.5 seconds. With a price tag of $1.3 million, it surely is one of the most expensive cars in the market. Like Miley Cyrus, Calvin Harris also owns a McLaren 12C. As the world’s richest DJ, Harris can easily purchase this supercar worth $240,000. Having a net worth of $210 million, Eminem can buy anything that he fancies. Well, he actually owns at least 12 supercars! This list includes an Aston Martin V8 Vantage; three Ferraris, including a Ferrari 599 GTO; four Porches; a Lamborghini; Ford GT; McLaren 12C; and an Audi R8 Spyder. The football star and also the 4th highest paid athlete of 2015 surely has the means to indulge himself with luxury cars such as a Maserati GranTurismo MC Stradale. This supercar is tagged as the fastest and most focused car manufactured by Maserati after the MC12. A unit of this beauty costs around $170,000. Taylor Swift’s Toyota Sequoia isn’t actually a luxury high-end car, with only a price tag of $50,000. But her vehicle comes with a touch screen and voice-activated navigation and DVD system. 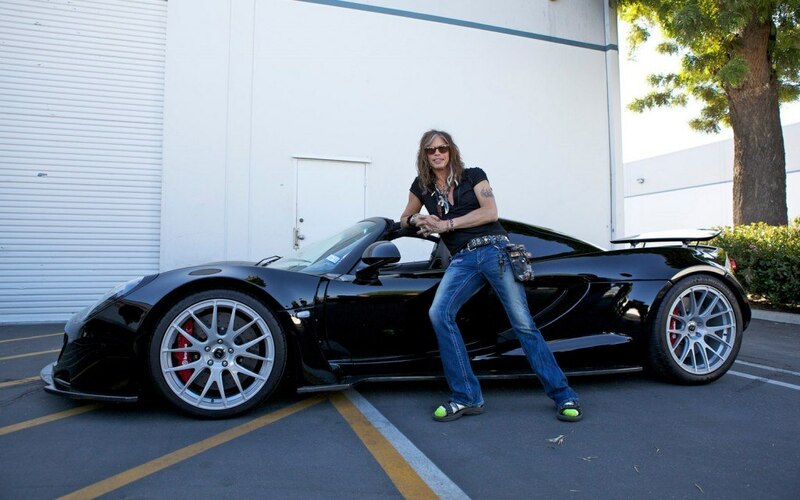 The rock star legend Steven Tyler really has some style, especially when he drives around in his own Hennessey Venom GT Spyder. Besides its jaw-dropping and sleek looks, the million-dollar supercar also brags to be the world’s fastest road car, with a top speed of 270.49mph. Leonardo DiCaprio may not be shy driving his Toyota Prius, but he’s also a proud owner of a hybrid luxury car, Fisker Karma. Although this car is a hybrid and is definitely eco-friendly, it can easily go from 0-60mph in just 6 seconds. Singer Ciara sure loves luxury cars, having a Bentley Continental V8 GT. This Bentley brags a 4-L V8 engine and a redesigned luxurious cabin that equates to both power and class. This car is priced at $214,000. Other than being an actor, Patrick Dempsey is also a race car driver. 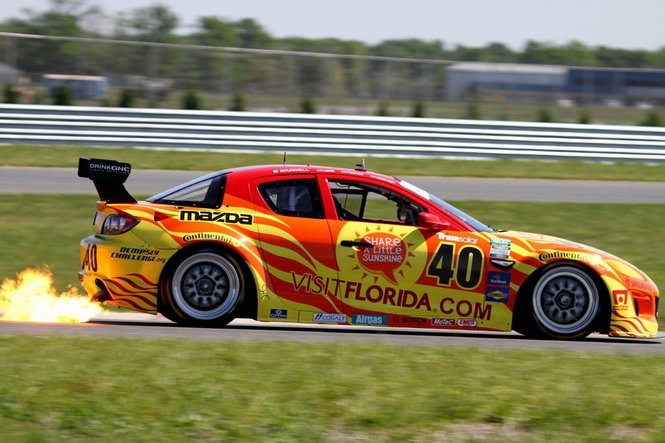 So it’s no surprise that he owns a Mazda RX-8 race car. Captain America looks even hotter when he’s driving his Jeep Grand Cherokee SRT-8. This $60,000 Jeep is a “high-performance luxury vehicle” that can easily speed up to 60mph in just 4.8 seconds.